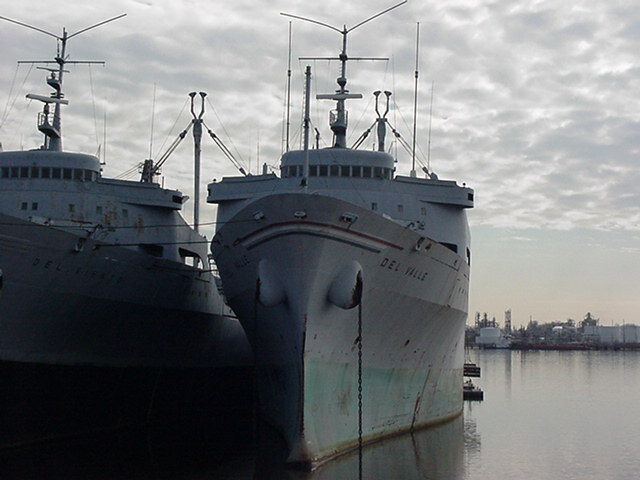 Laid down in 1968 as SS Delta Uruguay a Maritime Administration type (C3-S-76a) hull under MARAD contract (MA hull 202) at Ingalls Shipbuilding Co., Pascagoula, MS.
SS Del Valle was withdrawn from MSC's Ready Reserve Force (RRF), 7 October 1994, status downgraded to National Defense Reserve Fleet, laid up in the Maritime Administration Reserve Fleet, Beaumont, TX. Final Disposition, sold for scrapping, 5 March 2008, to ESCO Marine Brownsville, TX. 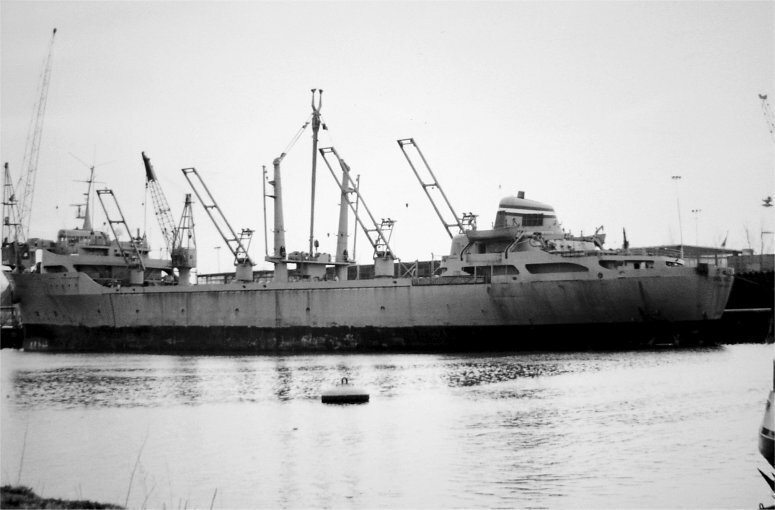 54k SS Del Valle (AK-5050) moored pierside at Eemshaven, The Netherlands (background) while members of the Dutch army`s 812th Transportation Group position DAF YA 4-ton trucks on the pier. 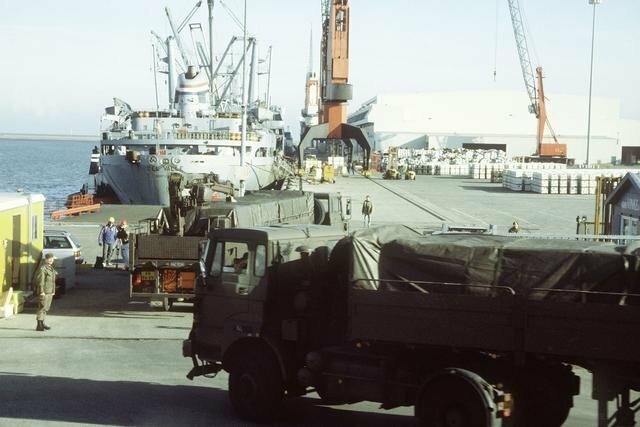 The trucks are carrying ordnance which will be loaded aboard Del Valle for redeployment to the United States in the aftermath of Operation Desert Storm, 26 February 1991.